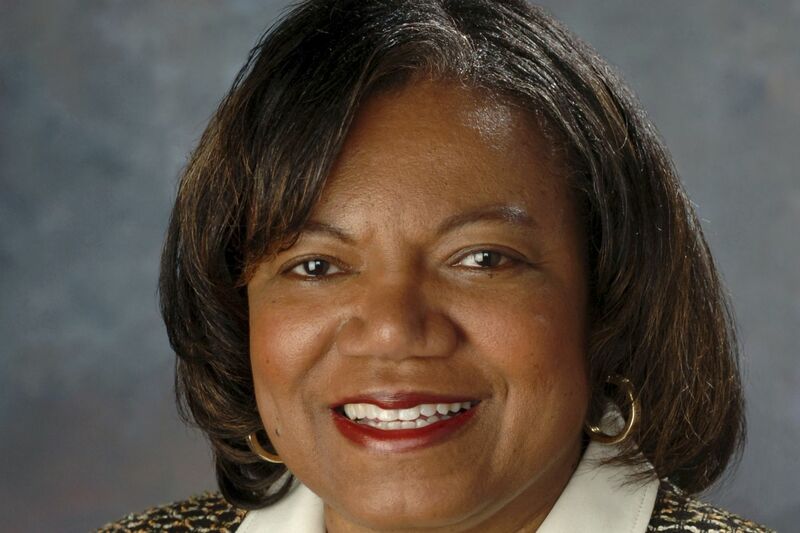 Lorraine Branham, 66, a respected newspaper journalist who went on to become dean of the S.I. Newhouse School of Public Communications at Syracuse University, died Tuesday, April 2, of uterine cancer in Fayetteville, N.Y.
During the first 25 years of her career, Ms. Branham was a reporter at the Philadelphia Tribune, Courier-Post, Evening Bulletin, and the Baltimore Sun. She was assistant to the publisher of the Pittsburgh Post-Gazette and senior vice president and executive editor of the Tallahassee Democrat. At The Inquirer, where she worked from 1987 to 1996, Ms. Branham was the New Jersey editor and worked as an editor on the city desk in Philadelphia before being named associate managing editor for features. Ms. Branham’s crowning moment came in 2008 when she took over as dean of the journalism school at Syracuse. She was the first woman and person of color to occupy that post. The school said she was selected from a field of 300 candidates. Previously, she had been dean of the journalism school at the University of Texas, Austin. She developed professional partnerships to help students adapt to a changing media landscape. Under her leadership, the school moved toward a multimedia emphasis, with the launch of a multimedia storytelling class, the development of a student-produced web-based news magazine, and a curricular overhaul. As word of her death spread through the journalism community, colleagues stepped forward with accolades. “Dean Branham was a pillar in the Syracuse University community and beyond, an icon in the media industry, an academic innovator, a mentor, educator, inspiration, and a friend,” said Syracuse chancellor Kent Syverud. "Dean Branham was the personification of what it means to be a trailblazer and on the cutting edge of the industry,” said National Association of Black Journalists president Sarah Glover, a Newhouse alumna and a former Inquirer photographer. “She emphasized to budding journalists the importance of building strong networks, being an innovator, and having an entrepreneurial spirit. And above all, she was caring and believed in uplifting and molding the next generation,” Glover said. At Temple, where for a time she taught reporting and writing, she was remembered as a leader. Born in Philadelphia, Ms. Branham graduated from Overbrook High School. She earned a bachelor’s degree in television, radio, and film from Temple University. Ms. Branham was married to Norris Branham. The couple had a son, also named Norris Branham, before divorcing. She married Melvin Williams in 1997. He brought two children, Avis Sims and Andrew Williams, to the marriage. All survive, along with 11 grandchildren and eight siblings. After leaving Philadelphia in 1996, she moved to Tallahassee, Pittsburgh, Austin, and Fayetteville. Her husband said she was diagnosed with cancer last October but never retired. A viewing from 11 a.m. to 1 p.m. Thursday, April 11, will be followed by a funeral at Sharon Baptist Church, 3955 Conshohocken Ave., Philadelphia. Donations may be made to the Lorraine Branham Scholarship Fund at the Klein College of Media and Communications at Temple University, 2020 N. 13th St., Philadelphia, Pa. 19122.